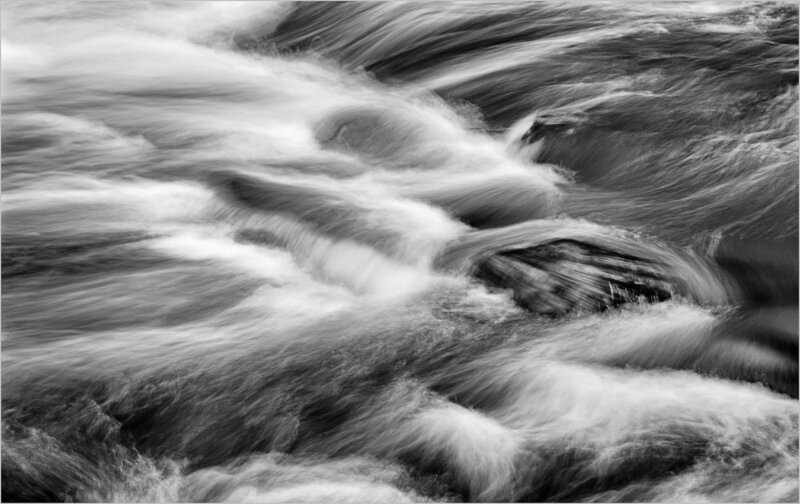 I enjoy abstract photography and for some time have been taking abstract photos of moving water. You can stay in one spot while shooting, varying your shutter speed and aperture, and each image is different. Even when using the same settings each shot still looks different. as the water movement varies from second to second. The challenge is to go through them afterwards and choose the ones that seem just right. In processing the photographs, I like to bring out the details in the water so the currents look almost like paint strokes.